We came as Romans singer Kyle Pavone has been declared dead today at the age of 28. The singer was confirmed dead by his fellow band members on social media. 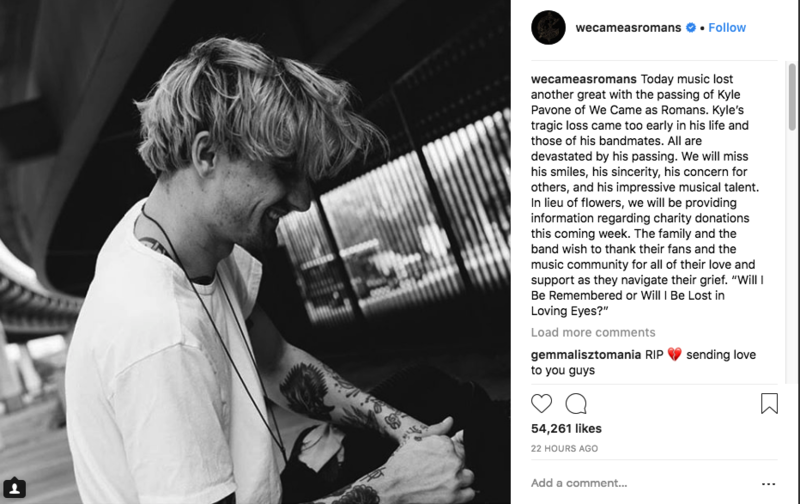 The social media post can be seen below with the kind words from the We came as Romans guys with a quote from their song "promise me". the lyric was also one of Pavone’s final tweets posted on August 18th. His cause of death is not yet known however We came as Romans told fans to donate to charity rather than buying flowers. There will be further information provided later on in the week about which charities to donate to. The singer will be missed dearly and our thoughts are with his family and friends.